Sick and Tired of Feeling Sick, Tired and FAT! 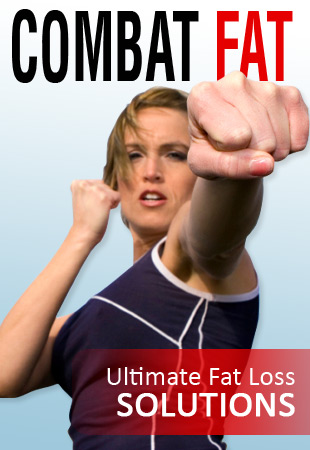 Are YOU Sick and Tired of Feeling Sick, Tired and FAT? My goal is to help you REMAKE yourself…to completely change your thought processes…to help you create new patterns in your life that will improve the QUALITY of your life! I want you to reach the point in your life that I reached…where I was sick and tired of: feeling older than I was…having no energy…having a challenging time just bending over to tie my shoes…of just feeling fat and out of shape! The scary thing is I didn’t realize how out of shape I had gotten. Even looking in the mirror, I wasn’t seeing what I really looked like. When I was a teenager, I was what’s called a “hard gainer”. I wanted to gain weight, but couldn’t to save my life…at least not as fast I wanted. I played football, and I was the lightest person on my team at 145 pounds. I could not gain weight for anything! I ate as much I wanted, and anything I wanted. I worked out really hard. I was doing everything I could to gain muscle weight. I usually had cereal (multiple bowls of not-so-healthy cereal) and two pop tarts every morning. I would eat ice cream and anything else before bedtime, in hopes that it would make me GAIN weight. Throughout the day, I drank soft drinks and Mama’s homemade sweet tea…and boy was it sweet! I certainly did not have to worry about gaining too much weight…and I didn’t think I ever would. When you were a teenager, could you eat anything you wanted? Did you have all the energy in the world? Well, those days are over – at least for me. Ever since I’ve grown up, it has been a constant struggle to keep the weight off…and the older I get, the tougher the battle has become. And I don’t like it. I wish it was easy. I know people who eat fries and burgers and whatever else they want, and they look great! You probably know people just like that don’t you? It wasn’t until 2002 that I realized things had gotten a little outa hand. After 9/11, I decided to pursue my dream of being a personal trainer. But I was aware that I wasn’t exactly in trainer shape. So I thought I would have to work at it just a little bit. I didn’t think I would have to do much…after all, ever since I had gotten out of the Army 10 years earlier, I had eaten healthy and worked out. I decided to do one of the popular 12 week weight loss challenge programs. Of course, you have to take a “before” picture. I was shocked. I was disgusted. I could not believe what I saw. This was not what I saw in the mirror! This was not the lean, mean soldier that breezed through Army Basic Training. Looking back at me in that picture was a depressed 40 something-year-old – even though I was only 32. As a matter of fact, it was around this time that someone guessed my age at 45! So over the next 12 weeks, I followed the program and lost a lot of weight. I felt a lot better about myself…I had more energy! I had to learn to LISTEN to and understand my clients and their individual circumstances. What works for me will not always work for someone else. Even though I loved what I did, I also constantly struggled with the idea of going back into the military. It was during this time that the wars in Iraq and Afghanistan were at their peaks. Every time I walked into the gym, it seemed there was coverage about our soldiers – my brothers – fighting and dying…and here I was showing someone how to adjust the incline on a treadmill. I had actually started filling out paperwork for the National Guard. The only reason I had not followed through was because of my 3 kids. I felt like I should have been there. I felt like there were guys that needed me. I felt like there was unfinished business for me personally, that we didn’t finish in the first Gulf War. She was a motherly figure that had been with me for a few months and she knew about the mental battle in my head. She said, “Wayne, the most important thing you can do right now is to be here and be a daddy to those 3 kids of yours”. That made me feel a lot better. But I still had the desire to do something more. I decided that the next best thing to the military was to become a police officer. So after 5 years of training, that’s what I decided to pursue. I had to leave training behind, and focus on my new career. I became a cop and still am. …and here comes the mental struggle again. I miss training and teaching people. Now 5 more years has flown by. By popular demand, and by my own personal desire, I am starting up my training business again. And another struggle. I’m only human. (That's an excuse). Because of poor eating and workout habits and the stresses of the job and life in general, I had slowly gained weight again. I was miserable, and the look on my face here shows it. I could use excuses like “I’m just getting older” or “I just have a slow metabolism”, or “I have flat feet and I can’t run like I used to”…or “I’m too busy”. But I’m not going to use excuses. And you shouldn’t either! I reached a point (again) where I couldn’t take it anymore. But this time I knew what to do. And you can follow me on my journey. My whole point in telling you all this is to show you that I’m just like you if you are struggling with your weight. I know how you feel. I was sick and tired of feeling sick, tired and FAT! I have to watch what I eat and I work out several times a week. But I also know what to do about it! For myself - and as a trainer helping other people - I have sought out the best strategies to keep the weight off. And, like you, I am “busy”…I have obligations, meetings, family, work, school, etc. So I don’t want to spend all my time in a gym. I want to use the best techniques that will SAVE ME TIME. I work hard to help clients REMOVE the negative habits in their lives and REPLACE them with positive habits. Most people that work out are using the wrong strategies for what they are trying to accomplish! Stop wasting your time. What does the route you take to work have to do with your health? Most of us take the same route to work every day. It’s what we are used to. It’s what we think is the quickest way, and we are comfortable with it. What if I got in the car with you one morning and showed you a shorter, quicker way? What if I said, “turn here”, or “take this street and avoid more traffic”. What if you got to work 10 minutes faster? Well, same for your health. Our team can help you reach your health and fitness goals in the quickest way possible! Time is a funny, precious thing. Once it is gone, you can NEVER get it back. Put YOU first and don't waste time! Does that sound too good to be true?? It’s not. Why? Everything in your world revolves around who? YOU are the most important person in your life. And your body and your health, determine how you FEEL everyday…how you FEEL about yourself determines how YOU SEE YOURSELF and how you INTERACT with others in your world. What I want to share with you is not just a way to lose a few pounds. It’s more than just a number on the scales. It’s so much more than a new ab exercise, or how to do a lunge or eating oatmeal. I want to help you change your LIFE. I want you to wake up every day full of energy and self-confidence. If you had more energy and felt strong and had more self-confidence you would smile more. If you smiled more, you would make people you interact with everyday smile. If you make them smile, you make them feel better about themselves. If you make them smile and feel better about themselves, they will like you more. If they like you more, your relationship with that person will improve. If you have kids, you will become a good example for them. If you have a job where you interact with people, you might increase business for the company. If you increase business, you might get a raise. If you are a good example for your kids, they will be more likely to take care of you in your old age. OK, seriously, everything you do in life starts with YOU. Take care of yourself first and be the best “you” you can be, and everything else will improve! The above list of consequences may seem a stretch, but who knows what could happen! Whether you are local and I can help you one on one, or you are across the country (or the ocean) and I can help you with online training, I promise that I will give you all the attention you deserve. Because I give such dedicated, personal attention, I can only handle a certain number of clients at one time. My goal is not to “help” a lot of people at one time with cookie cutter exercise routines – there’s enough money-hungry “trainers” doing that already. Most of us have a car payment. Most people choose a vehicle for more reasons than simply getting you from point “A” to point “B”…we pay money to have a car that looks good and that we don’t mind being seen in. We pay more for things like all the nice, fancy extras like radios, heated seats, sun roofs, etc. How much do you pay for your car…$300…$450….$600??? What’s more important – YOU or your car? Shouldn’t you invest in yourself the same or more than your car? It’s time to put YOU first! Even if you are just “kinda serious”, we have programs that will fit you and your budget.